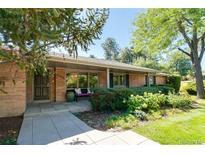 Find Cherry Hills Village, CO Homes for sale. View Photos, Maps and MLS Data Now! Lovely flat landscaped yard, 3 car garage and coveted Cherry Hills Village Elementary. MLS#9931388. LIV Sotheby's International Realty. Don’t miss this rare opportunity for the perfect luxury living lifestyle! MLS#9886527. Kentwood Real Estate Cherry Creek. Cherry Hills - The yard is a gardener’s delight with tons of perennials and huge trees. MLS#7298755. RE/MAX ALLIANCE. The Buell Mansion community features 24-hour manned guard gate, clubhouse, duel entrances for homeowners convenience, community pool, tennis courts, and much more! MLS#3977716. KENTWOOD REAL ESTATE DTC, LLC. The basement completes the indoor living space with a Recreation Room, the 4th and 5th Bedrooms, and three-quarter bath. MLS#6348748. KENTWOOD REAL ESTATE DTC, LLC. Cherry Hills - New furnaces, AC units, windows, blinds, outdoor lighting and garage built-ins make this gorgeous home even more desirable. Warmth & charm in every room! MLS#5236135. RE/MAX ALLIANCE. Charlou Park - Close to walking paths and within the Cherry Creek School District. MLS#7126951. KENTWOOD REAL ESTATE DTC, LLC. Cherry Hills Farm - Nicely finished lower level includes a home theater, billiards room with wet bar, fireplace & wood paneling, exercise room with bath, playroom and two bedrooms with two additional baths. Fabulous fenced, private backyard. MLS#5840309. Douglas Elliman Real Estate. Cherry Hills - Environmentally conscious upgrades include Lutron R2A lighting, upgraded insulation, heated floors, updated electrical/plumbing, high efficiency furnace, charcoal water filter, softener, humidifier, solar/car charge rough-in. A true architectural masterpiece! MLS#6217257. LIV Sotheby's International Realty. Cherry Hills - Incredible location with easy access to Cherry Creek, downtown, DTC & the Highline canal. MLS#3849099. KENTWOOD REAL ESTATE DTC, LLC. Cherry Hills - Climate controlled wine cellar. Separate entrance apartment. MLS#1630768. Compass - Denver. Bring your HGTV ideas for updates to create your dream home! MLS#3421411. LIV Sotheby's International Realty. Cherry Hills - Positioned on a secluded cul-de-sac with only three homes, this magnificent custom home is a welcome retreat from the rest of the world. MLS#4888969. Compass - Denver. Cherry Hills - Tucked in between the Buell and Cherry Park. MLS#7976647. LIV Sotheby's International Realty.